If you use a Mac, and use Alfred, creating a new milestone, task or link can now be done at lightning speed. Haven’t heard of Alfred? Alfred is an app launcher but it comes with so much more. They recently added a new feature called extensions, which truly opens up a world of endless possibility. Note that in order to use the extensions feature of Alfred, you’ll need to purchase the Power Pack (£12). Download the extensions. 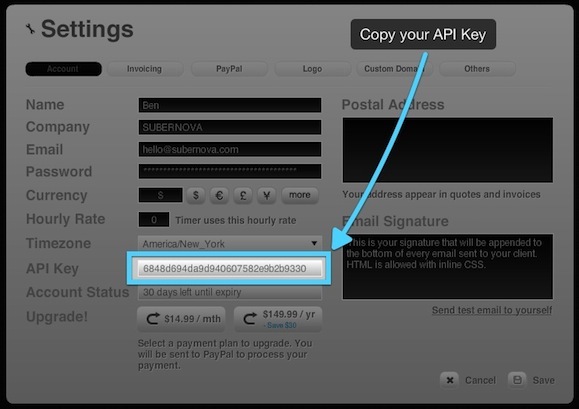 You’ll receive a zip containing two extensions, one for creating milestones and the other for creating links. 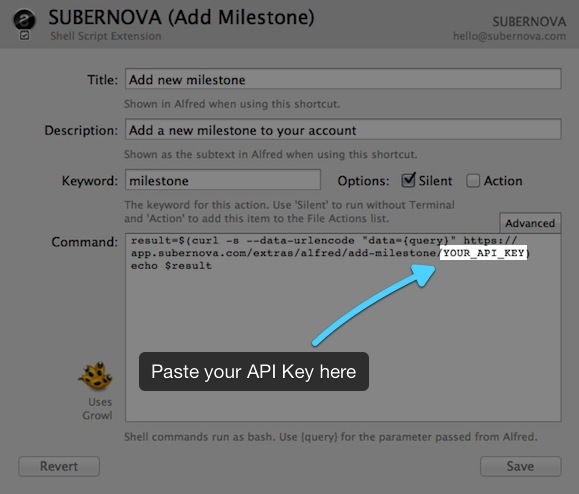 In your SUBERNOVA account, go to Settings and copy your API Key as seen in the screenshot above. This step should be done for both Milestones and Links extension. 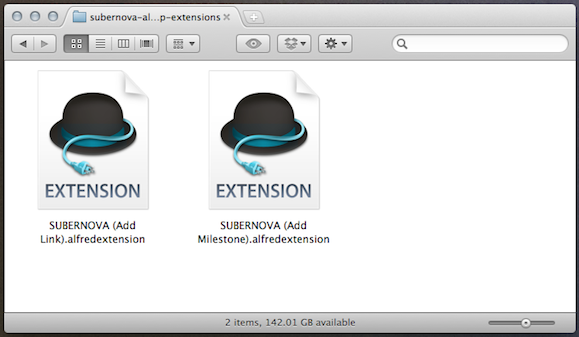 Now you have the extensions setup and ready to create milestones, tasks and links via Alfred. Dates: Just like creating a milestone in SUBERNOVA, you can enter dates in human language, for example, now, today, tomorrow, 5 days, next week, may 29, 29 may, 29/5, 5/29 etc. That’s it. Hope you find this a useful addition to your workflow!